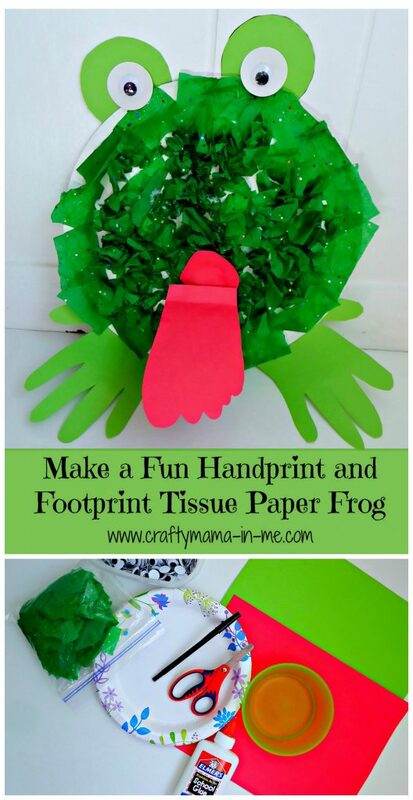 Make a Fun Handprint and Footprint Tissue Paper Frog - Crafty Mama in ME! 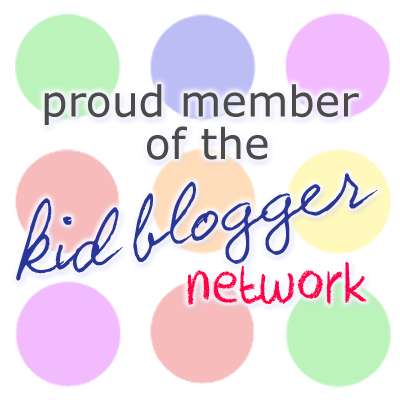 Does your child love frogs? My son and daughter both enjoy catching them every summer at our families camp. My son worked with me to create this cute handprint and footprint tissue paper frog. It came out really cute and was easy and fun for my son to make. Gather all materials prior to starting, cut up squares of tissues paper and have ready to use. Squeeze glue into the bowl. Call your child to the table and get started. Have them crumple the paper into small pieces, dip it into the glue, and apply to the paper plate. Repeat this step until the whole paper plate is covered. 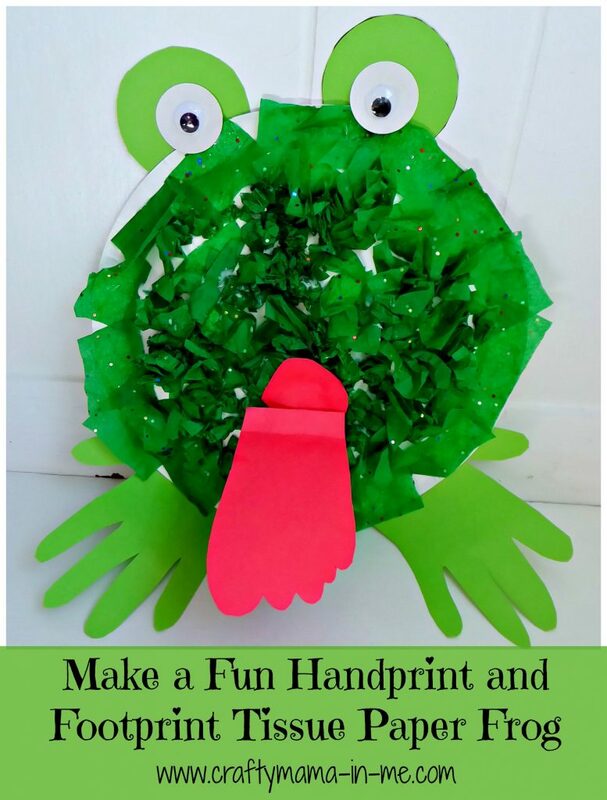 Trace both of your child’s hands on green construction paper and cut them out (depending on your child’s age they could cut them out themselves). Trace one of your child’s feet on red construction paper and cut it out. Cut two large circles out of the remaining green construction paper. Cut two small circles out of white construction paper. Glue the small white circles towards the bottom of the large green circles. Then attach the googly eyes on the white circles. Attach the green circles to the back of the paper plate with tape. Attach the handprints as feet on the bottom of the paper plate with tape. Attach the red footprint to the front of the paper plate (near the bottom) with glue – accordion the narrow end of the foot to help it stick out straight. My son enjoyed making this frog and showing it off to his dad as soon as he came down from work. I think most kids would love to create one of these frogs. 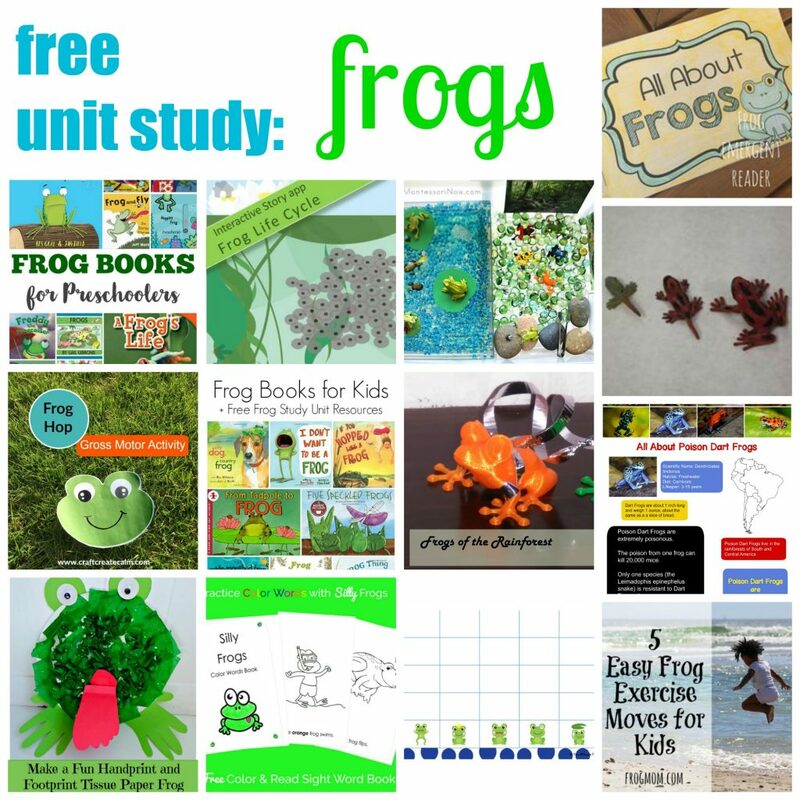 If you are looking for some more great FREE content take a look at all of the other links in our Frog Unit Study below. Frog Books for Preschool from Look! We’re Learning!